Twice a week, Making A Mark gives an insanely talented artist some IADW brag-space. Today goes to Gary Martin. 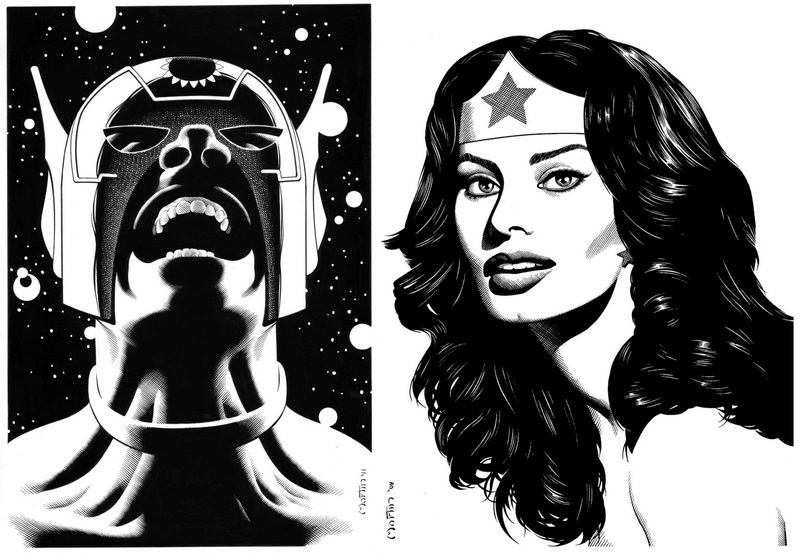 The incredible inker behind the book The Art Of Comic Book Inking, who shows you just how powerful inked portraits can be, pencilled by his own hand. Inker's don't often get their due here on IADW, so Gary's art sure makes up for lost time! Imagine whole comics in B&W art this strong! 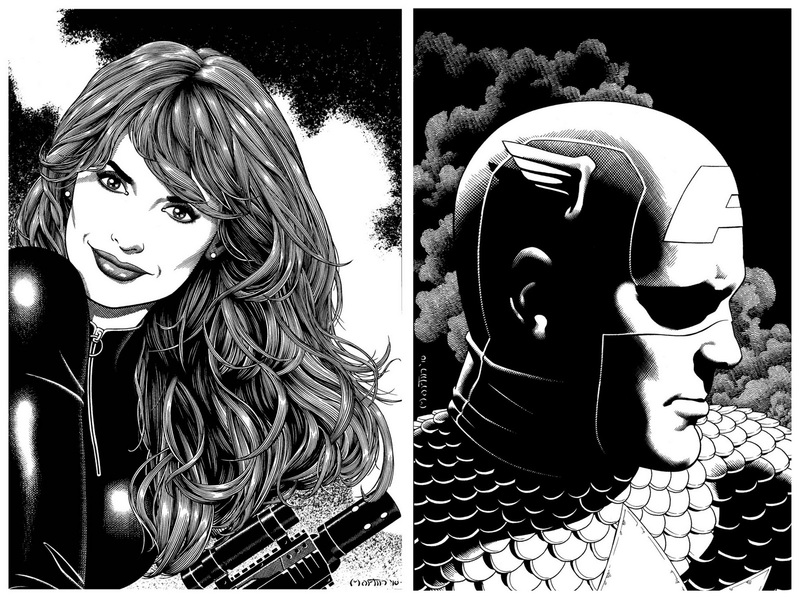 While his key artistic influence is pretty clear to see, you really need to click to enlarge these beauties to see the different inking styles and technique's used to capture the time swallowing hair of the Black Widow or Captain America and the sombre attitude thereof! With the same applying here, I love the idea of Wonder Woman and Orion as a team-up. It has to be one of DC's best! Both children of war in their own way, the war bringer prince and the peace warrior princess have a great chemistry, on top of their Old Gods / New Gods background. A contrast these separate portraits perfectly highlight! While this Blue Devil pin-up is one of Gary's professional published pieces, it is too awesome to leave out! For more of Martin's stellar work, including a rundown of the various projects his inks have landed on, view his online gallery after the jump. this guy has a real knack for the use of light and shadows and facial expressions. Wonder Woman looks a lot with one of my cousins that rightly (but kind of shylly) likes to compare herself with Lara Croft. I'll have to show her this one. 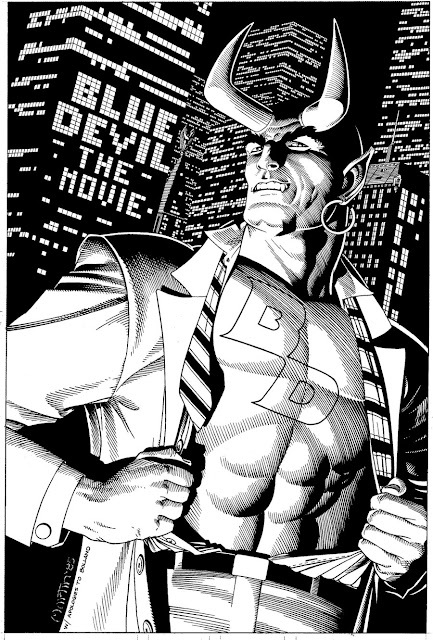 Sweet, sweet art; especially on blue devil! why the big two haven't snatched him up idw! Thanks folks! You have a cousin that looks like Wonder Woman Aliera? Accidentally give her some rope and see how she whirls it... you just may have uncovered something!